The transition from middle to high school can be difficult for students who are having trouble acclimating to the new academic rigors. 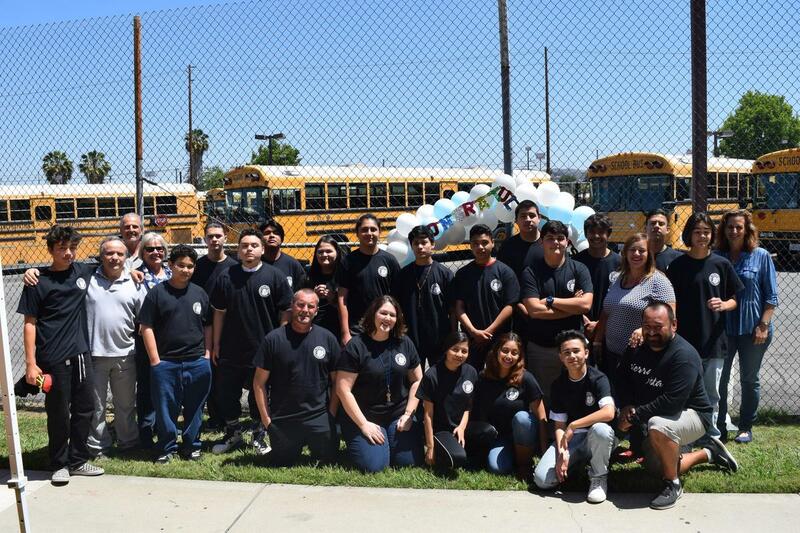 Sierra Vista High School, Whittier Union’s independent study campus, provides a bridge for these students through the Freshman Fresh Start program. Launched in 2013 by Sierra Vista teachers Larry Neberman and Jenn Useda, Freshman Fresh Start is designed to support ninth-graders who are behind in credits, have poor attendance or need one-on-one teacher support. 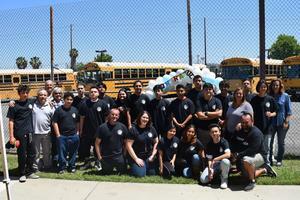 Students are recruited primarily from the Whittier Area Community Day School. The program, which can accommodate up to 35 students a year, includes a-g college prep courses and teaches the same curriculum as what is taught at the comprehensive high schools. Students attend one homeroom class, where Neberman and Useda teach four core subjects (English, math, biology and physical education) and two electives (living skills and child development). Classroom distractions are kept at a minimum and the personalized learning approach helps students bolster their academic and social skill sets. About half of the students return to their home schools or stay at Sierra Vista to study independently. At the end of each school year, Neberman and Useda go to the Day School and introduce themselves to students and parents, offering their support to those who are struggling academically and socially. The result for many Sierra Vista freshmen is better social skills, better grades, a restoration of confidence and new friends.